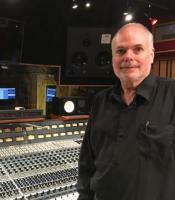 Neal Merrick Blackwood, Music City Scoring founder, co-owner, producer, music composer, conductor and arranger. Neal Merrick Blackwood has over 40 years experience as a film and music composer. Additionally, he has extensive background in the following: film scoring, production, recording engineering, composition and arranging. He is a classical musician, composer, conductor, orchestrator, arranger and producer. Other skills include over-all contractor, scoring contractor, soloist contractor, choral contractor (adults and children), orchestra contractor, string section contractor, woodwind section contractor, brass section contractor, percussion contractor, piano contractor, world instruments contractor, solo vocalist contractor, vocal coach, recording engineer, mastering engineer, mix engineer and producer.